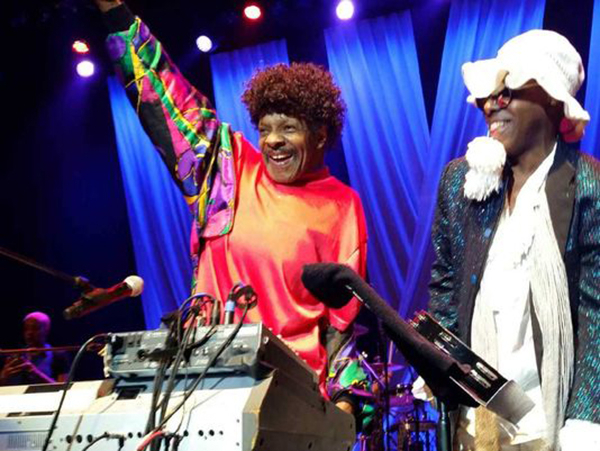 Although Family Stone band members have been in touch recently with Sly Stone, the band was taken by surprise when the funk legend joined the band to perform “If You Want Me To Stay” playing keyboards. The performance happened this past Sunday August 23rd at the Count Basie Theatre in Red Bank. Diagnosis: The Family Stone features original members Errico, Jerry Martini, and Cynthia Robinson with Sly Stone’s daughter, Phunne Stone. A Sly and the Family Stone box set, “Live at the Fillmore East October 4th & 5th, 1968,” was released last month. Thought he was JJ from Goodtimes at 1st..
Great to see him again, hope this means a Sly & Family Stone album is on the way!!!!!! Glory Hallelu!!!! Everyone should be able to enjoy Sly’s genius.